Bob: The Bible says, “The fear of the Lord is the beginning of wisdom.” Dan Dumas says that’s important for all of us to remember—our kids included. He says it’s got to be the right kind of fear of God. Dan: It’s not an immobilizing fear—it’s a healthy fear. I think you live out your view of God every single day; right? So, if you have a high view of God, you should have a high standard of living. If you have a low view of God, it’s probably going to produce a lower standard of living. So, it’s a right perspective—a lofty view of God—that, honestly, is the single greatest aid to my personal and progressive sanctification—is the healthy fear of God. Bob: This is FamilyLife Today for Wednesday, August 16th. Our host is the President of FamilyLife®, Dennis Rainey; and I’m Bob Lepine. Teaching our children to have a healthy respect for and reverence for God is one of the important things we need to keep in mind as we’re raising them. We’ll talk about more things today with our guest, Dan Dumas. Stay with us. And welcome to FamilyLife Today. Thanks for joining us. You’ve said for years that moms and dads need to be aiming their sons and daughters in a direction as they pull back the bow and get ready for the release. I’m just watching, in the culture today, a lot of people who are being released; and they’re not sure where they’re supposed to go next. Dennis: No. If you’re kind of wondering where to aim your sons and—as far as that goes, your daughters as well—our guest today has got some thoughts for you about living smart. 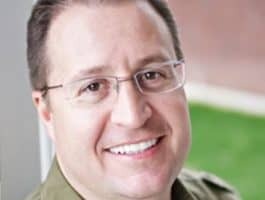 Dan Dumas joins us on FamilyLife Today. Dan, welcome to the broadcast. Dan: Thank you—privilege to be here. Dennis: And as a listener, I want you to get your seatbelt on. This guy is loaded with lots of great advice, not only for raising kids, but also for helping men become the man God made them to be. Dan has been married to Jane for 25 years. They have two children—live in Louisville. He is the newly-created czar for adoption and foster care for the state of Kentucky. Explain to our listeners what you’ve been tasked with by the governor of Kentucky. Dan: Yes; I’ve been asked to, basically, cut the red tape that has piled up over the years—in particular, answering to the governor of Kentucky—Governor Matt Bevin. The czar’s position is to make sure that our kids find either great foster homes or great forever homes. —you want to call the church into action; because it’s the only organization, really, in the world that can address the needs of orphans, globally. And here, in America, some 400,000 children in the foster care system—it [the church] is the only one, large enough, here, as well; right? So, for a gospel guide to call the church out and call them up to respond—I think, that’s a large part of our strategy in Kentucky, where we want to be the gold standard for foster care and adoption. Hopefully, as we get our own house in order, we’ll replicate it across all other states—all of the 50 states. Dennis: And I want to encourage our listeners to pray for Dan as he engages this. This is going to be a big endeavor. I want to go back and kind of get the narrative of your life and how you met Christ. You grew up as a PK; right? Dan: Yes; pagan’s kid—[Laughter]—pagan’s kid. Bob: Not a pastor’s kid? Dan: No; not a pastor’s kid. I always tell people I’m a PK: “I’m a pagan’s kid.” I grew up as a Roman Catholic boy. I wasn’t converted until I was in the United States Navy and 21 years old. Dan: No; well, Easter and Christmas; but I wouldn’t call it church-going. Bob: And God, as an issue in the family, was left out? Dan: There would be in that air of structures. You know, we’d pray before we’d go to bed / we’d pray over a meal—but apart from that, there would be a big void. Dennis: So, how did you come to faith as you were entering into the armed services? Dan: Yes; I was—it was 1986. Top Gun had come out. I was at the beach, playing volleyball; and we saw a couple of gals go by—they were beautiful / we pursued them. Unbeknownst to us, they were believers; and they shared the gospel with us. It took me about six months from that point there. Two of the other guys with us—they converted the next day—the following Sunday / it was a Saturday—the following Sunday, they went to church and gave their lives to Christ. I was just the hard-to-get guy. So, I would have been the guy you’d thought, “He will never ever come to Christ.” I was kind of empty. I was doing the bar scene and a lot of partying—typical military / young, single military guy. There was just a lot of emptiness there. They prayed / they came over—they would play cards with us. They would do activities and just kind of hang out. Just over the course of time, the emptiness got deeper, and darker, and darker, and darker. Eventually, God just—I felt the calling of the Spirit—felt the full weight of my sin. I was just heavy with sin; and then, I gave my life to Christ on June 22, 1986. Dennis: See, there are listeners, right now, who are identifying with how you described your life. They may not know what conversion looks like; but it is giving up and giving in and surrendering to the King of kings / the Lord of lords, Jesus Christ, who was on this planet—lived a perfect life, died on a cross, defeated death, and today is seated at the right hand of God. Because of that, He can offer you eternal life. That’s who changed your life; right? Dan: Absolutely. I repented, and I believed. Then, as 2 Corinthians 5:17 states, “Therefore, if any man be in Christ, they’re a new creation. Old things are passed away. All things become new.” And literally, my life was new. Bob: How did that go over with other Navy guys who had been partying with you up until that day? Dan: Well, yes; it was—and part of it was—I was the ringleader of the partiers / I was kind of the guy behind the party—kind of organizing the parties. So, everything kind of got slow; and I immediately started displaying my faith. As I flew with a helmet, I put “Jesus saves” on the helmet to be a witness; you know? Dan: Then, I started sharing on the mic-system on a helicopter. You had to have helmets on / you could talk to each other on the intercom. I started sharing the gospel. So, I got pulled up to captain’s mast to be considered for some punishment; but they just said, “Knock it off.” And we saw many—probably, four or five—other sailors in our squadron convert to Christ. It was a really unique time that God was working in those people. —it was a living book to me. So, I just like—just changed my life. Bob: Part of the reason that you have such a passion for young men to have an aim / to know what their living for is because, before you were 21, you didn’t have much; right? Dan: I didn’t have anything. Yes; that’s part of the story of this book—is that I never went to a Christian camp; I never went to a youth group; I never went to a Wednesday night service—I never went anywhere; so I didn’t live intentionally. That’s what’s behind this book—is to have our young people live intentional. I never had any influences / any mentors. Yes; my parents are awesome—they are kind, but they weren’t people of faith. So, they didn’t talk to us about that. You know, we got in trouble if we did something wrong. There was clear discipline and instruction going on, but it wasn’t rooted in Scripture—it wasn’t biblical instruction. It was just them doing the best they could, as parents, at the time. Dennis: That’s a good place to go; yes. Dan: Yes; so, it was—it was quite a—it was a steep learning curve; you know? So, I’m not the sharpest knife in the drawer; but I figured out real quick. Dan: Yes; that’s a huge—a huge piece of the puzzle. For me, I was supposed to go to Rota, Spain; and then, the Spaniards took over the SAR—the Search and Rescue. They said, “Well, you can stay in Jacksonville; you can go to Whidbey Island; or you can go to Key West.” I didn’t want to go to the other two. I was kind of three hours away from home at the time. I thought, “Well, this would be close enough to get home if I need to,”—I stayed there. Six months later, I get saved. Then, immediately, I meet this guy by the name of Tommy Mallard; and he just takes me under his wing—highly intentional guy—very intense discipler, constantly correcting anything you did that he felt like was not wise or unorthodox. He would just correct us. He was just an awesome guy. So, I’m a product of mentorship. Dan: That guy ended up being John MacArthur. Dan: So, he said, “You do that package,”—well, if you think about that package, that’s about two hours. So, I just did it because he said to do it—so, I did it. So—but he immersed me in the Scriptures and around solid teaching / you know, sound doctrine. I think that accelerated my personal sanctification. Bob: This was spiritual boot camp that he put you in. Bob: You had the sergeants yelling at you on one side / you had Tommy on the other end, who was—he had a pretty good regiment—a spiritual workout for you every morning. Dan: Yes; and he would correct us. I can remember places on the road, where—I got sideways, one night, with some girls. I kind of was snarky, and yelling, and stupid; I popped off. He didn’t say anything in front of her, but we got in the car to go to make a visit for someone who had visited the church. We made it about a half mile down the road, and he pulls off in the dirt. “Faithful are the wounds of a friend;” right? True friends stab you in the front / they don’t stab you in the back. You always saw—with Tommy, you always saw the knife coming. He just got you. [Laughter] So, I was just—all of that is kind of in this chapter on mentoring in the book, because it’s a big part of who I am. I feel like I’m a product—or I’m a marked man—when it comes to mentoring. Dennis: He did something with you that got you into the book—the Bible, obviously—as you started taking this two-hour package every morning; and you list these out in your book—a list of descriptions about what the Scriptures became to you. What I want you to do is just take us through it real quickly, and you just quickly describe how the Scriptures are this for you. —I would go to the Scriptures first and seek what the Lord wanted me to do. Tommy said, “Look, prayer is you talking to God / the Scriptures are God talking to you.” So, I would look to the Scriptures as a guide. Dan: Yes; that’s why it was a priority of my day. That’s how I started my day and sort of how we ended the day. He always kind of said, “You want to fall asleep kind of in the Word / kind of maturating on the Word;” you know?—the meditation. “How does a young man keep his life clean and pure?”—Psalm 119; right? Dan: By meditating on the Scriptures—so, it was my treasure. Dan: Totally—keep you from sin. Sin will keep you from this book, or this book will keep you from sin. The book really kind of thwarted my sinful patterns. Dan: Final saying—always has the final say in my life. Dennis: “The Scriptures are my revealer.” I thought this was interesting. Dennis: I had a moment like that, you know, probably, 40/50 years ago. Dan: Yes; nuancing comes; you know? Now, I’m dealing with stuff that I would—those big sins were like layups; okay? I can stop doing that—the easy stuff. Now, it’s like I am dealing with nuance kind of stuff and always kind of having to think through new areas that He reveals to my life and points out every single day: “Okay; that’s immature” still. Now, I’m like 29 years the other side of this thing, and I’m still dealing with some of the besetting sins as Hebrews 12 talks about. I’m still wrangling and wrestling with this stuff—it’s crazy. Dennis: It’s what you need to grow. Dennis: If you’re not in it, you’re not going to grow. Ultimately, this fed your concept of who God is; and you start your book talking about the fear of God which, Bob knows, is kind of one of my anchor points as well—attempting to live my life in the presence of God. Explain to our listeners how you apply the fear of God to your life. Dan: Yes; in particular, it’s not an immobilizing fear / it’s a healthy fear. I think you live out your view of God every single day; right? So, if you have a high view of God, you should have a high standard of living. If you have a low view of God, it’s probably going to produce a lower standard of living. So, for me, cultivating a healthy fear of God is—it’s a healthy perspective on who God is—He is lofty, and we’re not. He has attributes that we’ll never attain to. He’s utterly distinct and exclusive. I just think it’s a posture—a healthy posture—a lot like parenting in some sense. Kids should have a healthy fear of you, as a dad or a mom; but it shouldn’t immobilize them; right? Dan: It shouldn’t shut them down. They should just find joy in that fear. So, it’s a right perspective—a lofty view of God—that, honestly, is the single great aid to my personal and progressive sanctification—is the healthy fear of God, because I have to step over the fear of God to sin. I have to say, “Well, He can’t see this,” or “I can hide this sin,” or “I can hold onto this sin.” And of course, Psalm 139 just blows that to pieces; right? There’s nowhere you can go / there’s nowhere you can hide. Bob: Dan, you really—in writing this book and trying to provide guidance for young men, you could look back at how God had shaped, and intervened, and directed your life. If you think about the trajectory of your life, if there hadn’t been God’s intervention, where do you think you’d be today? What would you be doing? What would you be living for? Where would your life have taken you; do you think? Bob: You managed your sin appropriately. Dan: Right. It was pronounced and, obviously, there; but I just kind of—I was smart enough. I kind of navigated that space there. I don’t know where I’d be. I’d be absolutely consumed with myself, and I think I’d be reckless. I think I wouldn’t have compassion on people and the vulnerable, in particular. Entitlement, I think, would mark my life. So, I think I’d be a mess—a hot mess. Bob: Is it your hope that guys in high school / college are going to read this / go through it together with other guys? What’s your desire for a book like this? Dan: Yes; there’s a phrase that is etched into the stone fireplace at Red Arrow Camp—I don’t know if you’ve ever been to Red Arrow Camp. I’ve not visited it myself, but I was told that it’s in the fireplace there—it says, “If you want to be a great man, start by being a great boy.” This book is my heart expressed to young men and young women to be highly intentional. 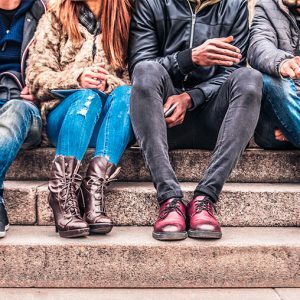 I kind of wrote it for middle school to millennials—that’s the kind of demography that I’m aiming at, because I want to get them at a young age. I want them to be highly intentional and not to play life by chance. One of the things that marks this generation is they’re just—they’re just throwing the dice. They are just playing it by chance, and they’re not intentional. They’re not living smart. Another word for smart is wise; right? Dan: It’s got a Proverbs-esque feel to the whole book, and that’s kind of what I’m trying to capture there. So, I want to see young people be highly intentional—to not leaving life to chance. Dennis: Yes; the way you find life is get to know God and live your life under the authority, under the food, under the treasure of the Scripture. And I think young people today need to get into that mission. They need to know why they are here. They are not just random molecules. God went to the cross in the person of Jesus Christ to redeem you, not just from hell, but to redeem you from selfishness and give you His mission for your life. And I’ve got to tell you—after having attempted to live in or near that bull’s eye for the last 50 years, it doesn’t get any better than that. —maybe, at the dinner table; or in the evening, part of family devotions; maybe, right before bed. The chapters are short. This’ll provoke a lot of great conversations with you and your kids. The book is called Live Smart: Preparing for the Future God Wants for You: “Don’t waste this time in your life.” Dan Dumas is the author, and we’ve got copies of the book in our FamilyLife Today Resource Center. You can order from us online at FamilyLifeToday.com, or call 1-800-FL-TODAY to get a copy of the book. Those of you who have thought about taking your middle schooler on a Passport2Identity™ getaway, where you and your 13-/14-/15-year-old get away for a couple of days and listen to the Passport2Identity content—this would be a great follow-up to your getaway time. Again, go to FamilyLifeToday.com to order the book, Live Smart by Dan Dumas; or if you need to order Passport2Identity, it’s available online as well. You can also order by phone—1-800-FL-TODAY is our number—that’s 1-800-358-6329—1-800-“F” as in family, “L” as in life, and then the word, “TODAY.” Again, the website is FamilyLifeToday.com. You know, our hope each day, as we prepare these programs, is that husbands and wives / moms and dads—everybody in the family—will find them helpful, practical, biblical—something you can respond to and act on. We don’t want this just to be something you listen to. We want it to be something that prompts you to live differently. Our goal is to effectively develop godly marriages and families. We believe those godly marriages and families will change the world, one home at a time. And if you’re a regular listener, you need to know that there are other regular listeners who make this program possible for you. Those folks who donate, from time to time, or are Legacy Partners, who donate each month—they are helping us extend the reach of this program to reach more and more people every month. In fact, we recently did some calculating and found that it costs about $8.25 to reach a thousand listeners. So, somebody who is donating $25 a month to support FamilyLife Today—you’re making sure that 3,000 people, every month, get a chance to hear practical biblical help and hope for marriages and families. And this month, there’s a special incentive to make a donation. We’ve had some friends of the ministry who have agreed that they will match every donation we receive, dollar for dollar, up to a total of $800,000. So, your donation will help us reach twice as many people this month. You can donate online at FamilyLifeToday.com; or you can call 1-800-FL-TODAY—make a donation over the phone. You can also mail your donation to FamilyLife Today at PO Box 7111, Little Rock, AR—Arkansas is AR—and our zip code is 72223. Now, tomorrow, we want to talk about some of the important lessons we need to make sure we are teaching our kids. Dan Dumas is going to be back with us again tomorrow. Hope you can be here as well. I want to thank our engineer today, Keith Lynch, along with special help today from Mark Ramey. On behalf of our host, Dennis Rainey, I’m Bob Lepine. We will see you back tomorrow for another edition of FamilyLife Today.